Established in 1982, NJ Realty is a family owned and operated real estate sales and rental Agency. We are a relatively small Agency in numbers (we don't have 150 part time Licensees like some of the "franchise Brokerages", but that's one of the things that makes us so special. There are no part time Agents, only full time dedicated professionals. We don't have a revolving door of Agents. The Agents and staff are all good people that work well together. We pride ourselves on offering a comfortable work place, which we believe translates into a relaxed atmosphere for our customers. We have witnessed and been a part of the many changes in this real estate market and this Shore community. This experience is an invaluable resource. As a dynamic group, however, our energy is focused on the future. We are staying ahead of the curve technologically, presenting what we believe to be the most advanced tools both to our Agents and our customers. Our new website, for example, offers rapid access to real estate and tourist related information, as well as other useful resources. We are also now offering free internet access to our customers here in Sea Isle. We continue to look for new, more efficient and effective ways to be of service to our clients. As real estate professionals, we at NJ Realty ask ourselves one simple question: "What are the expectations of our customers?" We ask this of ourselves with each encounter with a customer or client. Our answer is equally as simple: Our customers and clients expect the same level of service as we would if we were interested in buying, selling or renting real estate. That is, we would expect a knowledgeable salesperson - both of the products and the procedures. We would expect prompt, courteous and friendly service. We would want a motivated, experienced professional - not a part-timer, with little practical background. We would also want to work with an honest and direct individual. Someone well respected and dedicated to the community. These are the standards we work and live by. It's an old school approach to conducting business. It's also a successful business model: provide distinctly superior customer service on a consistent basis and the client base will grow exponentially over time with positive referrals. It's a proven success. 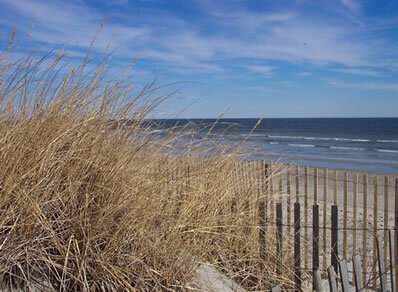 NJ Realty is Sea Isle's highest producing sales Agency. Further, our office is located on Landis Avenue (also known as the Ocean Drive) - Sea Isle's main thoroughfare. Just south of the hustle and bustle of the downtown area, parking is provided in our lot, but is normally available off street as well. We have found our location to be desirable in terms of both access and locality. In fact, we offer our Express Check-In which allows incoming tenants to pick up their keys and package curbside! It’s fast and easy – a great feature during those hectic summer Saturdays! Whatever your real estate needs at the Shore, contact NJ Realty. #1 in SALES, #1 in LISTINGS SOLD, #1 in PERSONAL SERVICE! Copyright © 2019 Long & Foster Real Estate. All Rights Reserved. NJ Realty is now proudly party of the Long & Foster Real Estate Family! Copying, publishing, or distributing without express written permission is prohibited. Information found on this web site is deemed accurate but not guaranteed.